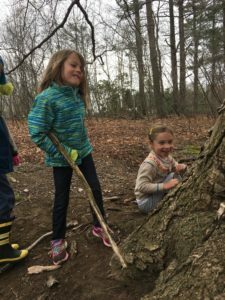 MELROSE, MASSACHUSETTS – After its successful Forest Kindergarten (“FK”) launch in 2014, the Friends of the Middlesex Fells Reservation (“FoF”) is offering even more forest programming in the summer of 2017. FoF’s programs provide a range of nature-based learning opportunities for children ages 4-10. 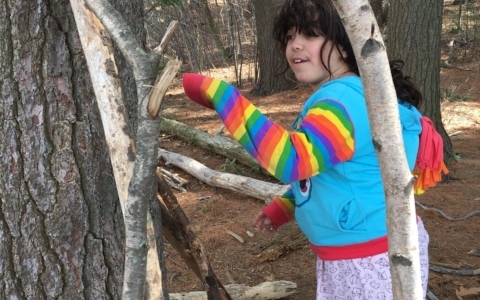 Children engage in self-guided exploration of the forest, helping develop their curiosity, critical thinking, and sense of connection with nature. Beginning July 5, summer forest programs will provide week-long nature-based learning opportunities through September 1. 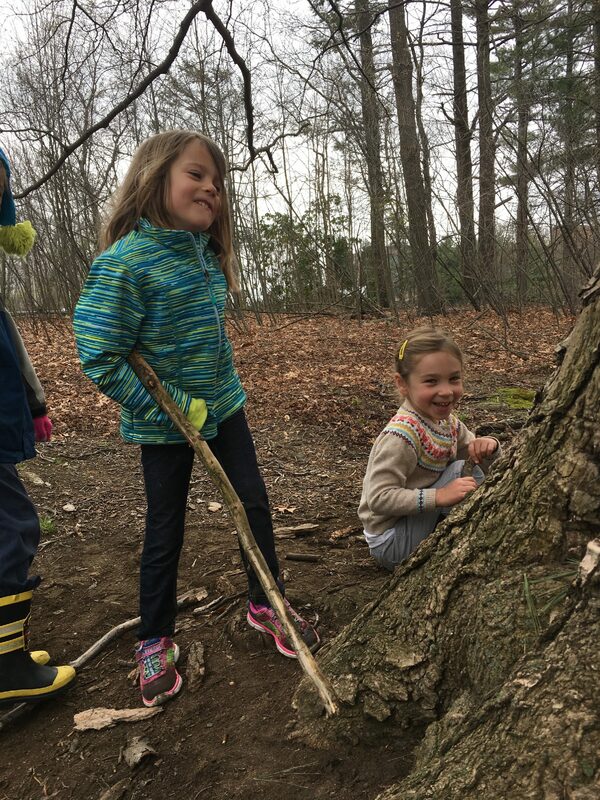 Forest Kindergarten (ages 4-5), Forest Explorers (ages 5+-7), and Forest Adventurers (ages 8-10) will be offered mornings (9-11:30 AM) or afternoons (12:30-3 AM) at the historic Department of Conservation and Recreation (“DCR”) Botume House at 4 Woodland Road in Stoneham. Forest Adventurers may also use the trails at DCR’s Greenwood Park on Pond Street in Stoneham. This year the FoF will continue to grow the original FK program for older ages, always geared at developing a sense of environmental stewardship and leadership. As the participating children become more curious about the natural world around them, programming will include occasional guest speakers on special topics. All programs will take advantage of the Fells Reservation as a shared natural resource: our region’s own unique 2,575-acre natural haven with room for all to use, learn from, and protect together. 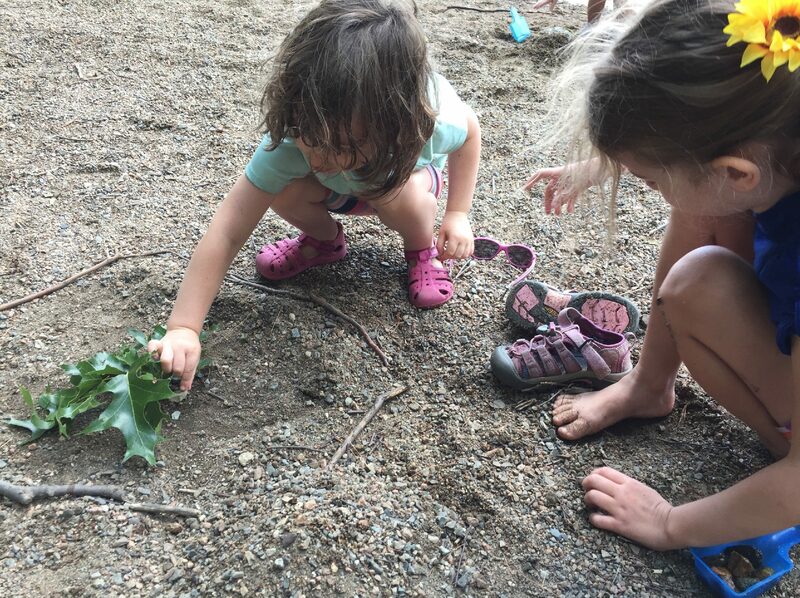 While each of the programs remain child- and interest-led, there will be options for the older ages to engage in enrichment activities of their choice, including: environmental science, reading nature writers, engaging in field sketching, poetry-writing, photography, and more. “This year, our Forest Adventurers program for ages 8-10 has the potential to be extraordinary. I have brought in some terrific and dedicated new instructors from Tufts and UMaine, plus many well-loved returning instructors, and we will be providing extra training on how to incorporate new opportunities for environmental education enrichment for this older age group,” said Ann Frenning Kossuth, Youth Programs Director. Detailed information for parents and guardians can be found at http://www.friendsofthefells.org/parents-instructor-info/. This site contains not only biographies of this year’s instructors, but also the overall FoF forest program philosophy. The FoF bases its philosophy on a child-led learning experience. The forest is their inspiration; instructors will encourage participants to explore at their own pace, and according to their own interests. Regardless of age, the programs aim primarily to stimulate children’s curiosity about the natural world, and to develop their critical thinking skills through self-guided exploration and problem-solving. Instructors may offer quick “on the spot” science lessons to the children opportunistically and encourage curiosity by asking open-ended questions (i.e. : What do you think that animal eats? Why do you think it has all those colors? Why is this leaf such a funny shape? How long will it take that log to decompose?) Activities available include: bug catching, bird watching, puddle-stomping, exploring secret hideouts, and generally running around. But instructors never force the children to participate in any specific activities, nor schedule their time. Consistent positive reinforcement helps children build respect for every living thing they encounter in the forest, as well as for themselves and each other. Class sessions will be capped at ten (10) children per day and canceled in weeks when fewer than four (4) children are enrolled. A minimum of two (2) instructors will be present at all times. The total weekly cost for any week-long summer session will be $150. Limited financial assistance is available to those in need. Contact our Youth Programs Director, Ann Frenning Kossuth (ann@friendsofthefells.org) for more information. All FoF members may receive a $25 discount coupon code for any of our youth programs valid one per child. To find out whether your family’s Friends of the Fells membership is current or to learn about joining the Friends of the Fells, please visit http://www.friendsofthefells.org/join. After joining or renewing, members may email friends@fells.org to receive their coupon code. Your generosity helps to pay for our programming and financial aid for others. 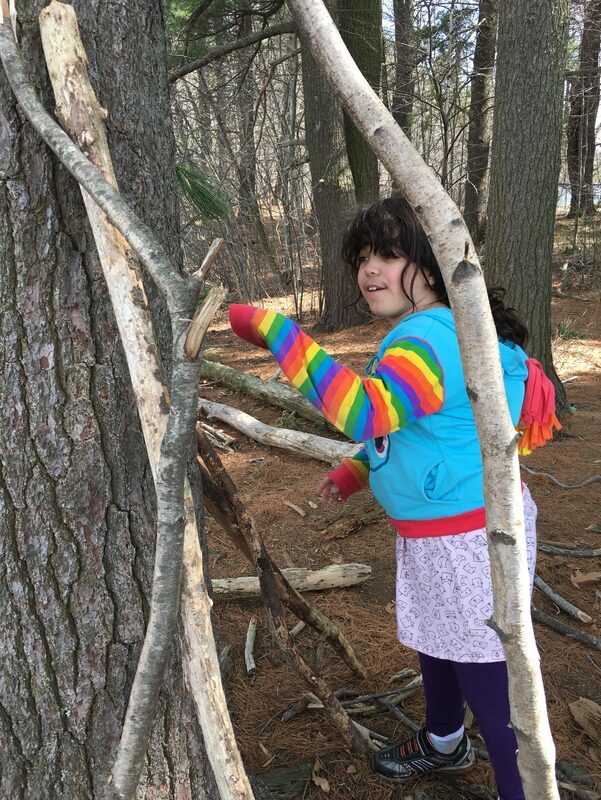 The Friends of the Middlesex Fells Reservation is dedicated to the protection and harmonious use of the Fells; promoting awareness, policies and programs to honor and preserve the ecological, historical and recreational resources of this urban forest reservation. The goals of the FoF are to instill awareness and appreciation of the Fells as a valuable natural and historical resource which will foster a sense of stewardship within the larger community; to develop programs for recreation, enjoyment, and study of the Fells which are harmonious with landscape and habitat; and cooperation with others, develop and advocate for policies designed to preserve and protect the Fells Reservation. For more information about our programs or to join the Friends of the Fells, please visit the FoF website at http://www.friendsofthefells.org. Hi, I learned about you from a friend. I would like to enroll my daughter, 5 years old in the week 3 (end of July). Her friend Gus will be attending there two.